well known Paternoster Hotel is situated on the West Coast of South Africa in the fishing village of Paternoster a 145km from north of Cape Town. The original building was built in 1863 by the community with limestone from the area. In those days it served as a ‘mall’ with a clothing store, jail/holding cell, entertainment (snooker tables). The present dining room was used for dances and church services and the function hall was an open area used by the local farmers to store their corn. In 1940 the Tollman family bought the building and turned it into a Hotel. They immigrated to England in 1948 and returned in 1997 for the first time after they left. The Tollman children donated money for the building of a proper community hall which was named after them. Paternoster Hotel can be your ideal wedding venue. Why not turn the occasion into a weekend with family and friends gathering together. We have indoor and outdoor braai facilities for your use on the Friday night for the pre-wedding party!Each quote is worked out individually to suit your taste and budget. We, together with our co-ordinater can do all the arrangements so that your most beautiful day is complication free. 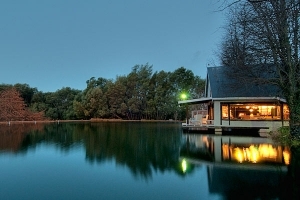 Fugitives' Drift Lodge was nominated as a Gold Achiever in the 2003 AA Travel Guides Accommodation Awards Programme. This nomination is done on research done with the travel trade in South Africa and the UK. Fugitives Drift Lodge is situated on the site of the original Rattray homestead, in the famous Natal Battlefields. The Fugitives Drift Lodge is the pilot governance, built by David and Nicky Rattray in 1989 and houses the majority of the memorabilia in the central lounge and dining room area. 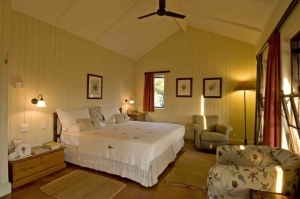 Accommodation at the Lodge consists of eight convenient deluxe en-suite rooms. Each has a private veranda affording views over the plains flanking the Buffalo River Gorge.The Fugitives' Drift Guesthouse has an outside eating area with stunning views across a plain with Isandlwana in the distance.broad deluxe en suite rooms each have a secret veranda. A feature of Fugitives Drift is the beautiful shady, well-established garden, home to innumerable birds and the most spectacular large swimming pool situated on a secluded spur on the lip of the Buffalo River gorge.The master farmhouse forms a captivating sitting and dining room for the Guest House, which is set away from the Lodge. 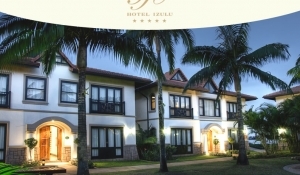 The Guest House has six large en-suite bedrooms, all with private veranda's. Inkungu Lodge and wedding venue gets its name from the Zulu word 'IzinKungu', meaning 'mist', an apt name when one looks over the valley at the morning mist covering the dam. This harmony with nature has been carried through every aspect of the lodge - the sandstone walls, natural gardens and rim flow pools blend perfectly with majesty of the surrounding Drakensberg mountain range. Within the lodge, each room has been individually designed with hand-picked furniture and gorgeous fabrics. Many of the rooms boast antiques, each with a unique story behind them. The romantic Honeymoon Suite, with its own lounge and private bar, is a sought-after retreat for newlyweds. An executive Presidential Suite, also with informal lounge and private bar, lends an air of comfort and relaxation for the travelling business executive. Inkungu Lodgeand wedding venue is the perfect setting for the intimate wedding of your dreams. The sandstone Lodge blends in seamlessly with the surrounding mountains, offering a magnificent backdrop for your wedding ceremony and photographs. 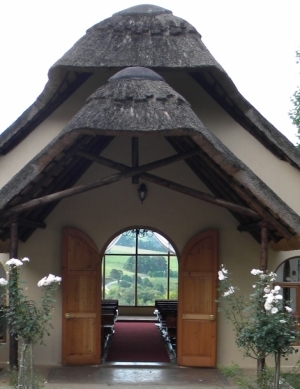 Inkungu Lodge offers two venues for a Drakensberg wedding, depending on the size of your guest list. 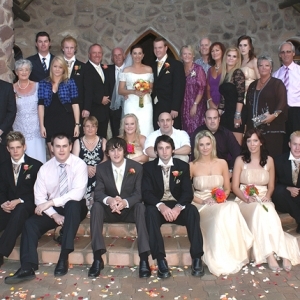 Small weddings of 10 - 30 people can be easily accommodated in the main lodge, and larger parties of 30 - 100 are referred to the purpose-built venue away from the Lodge. 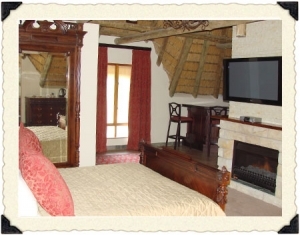 Both venues offer stunning rim-flow pools and fireplaces for a cosy atmosphere in winter. As part of the package, our wedding coordinator would be happy to assist you by sourcing and negotiating with local vendors for all of your additional needs, such as florists, decor, music, photographers etc. The chefs at Inkungu offer you delectable menu options to suit every budget and complement the theme of your wedding. When deciding on a menu for your big day, our chefs will work with you to provide the unique menu you require.